If the serfs were caught they were taken back to their village and punished. It was difficult for the lords of the manor to punish them too harshly. Execution, imprisonment and mutilation only made the labour shortage worse, therefore the courts were more likely to punish the serfs by a fine. Sometimes runaway serfs were branded on the forehead. 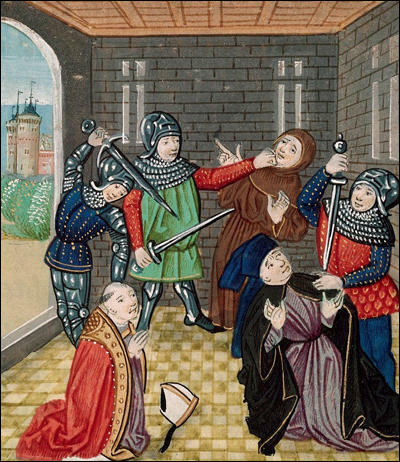 The rest of the serfs' tithing group were also fined for not stopping him or her from running away. 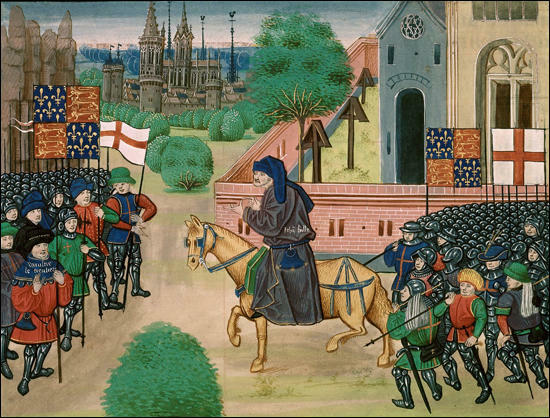 In 1379 Richard II called a parliament to raise money to pay for the continuing war against the French. After much debate it was decided to impose another poll tax. This time it was to be a graduated tax, which meant that the richer you were, the more tax you paid. For example, the Duke of Lancaster and the Archbishop of Canterbury had to pay £6.13s.4d., the Bishop of London, 80 shillings, wealthy merchants, 20 shillings, but peasants were only charged 4d. The king immediately granted these demands. Wat Tyler also claimed that the king's officers in charge of the poll tax were guilty of corruption and should be executed. The king replied that all people found guilty of corruption would be punished by law. The king agreed to these proposals and 30 clerks were instructed to write out charters giving peasants their freedom. 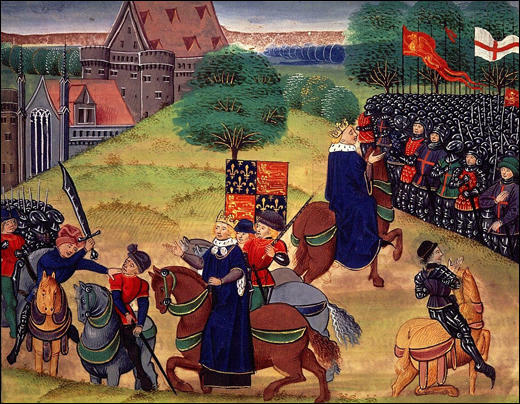 After receiving their charters the vast majority of peasants went home. Why are those whom we call lords, masters over us? How have they deserved it? By what right do they keep us enslaved? We are all descended from our first parents, Adam and Eve; how then can they say that they are better than us... At the beginning we were all created equal. If God willed that there should be serfs, he would have said so at the beginning of the world. We are formed in Christ's likeness, and they treat us like animals... They are dressed in velvet and furs, while we wear only cloth. They have wine, and spices and good bread, while we have rye bread and water. They have fine houses and manors, and we have to brave the wind and rain as we toil in the fields. It is by the sweat of our brows that they maintain their high state. We are called serfs, and we are beaten if we do not perform our task... Let us go to see King Richard. He is young, and we will show him our miserable slavery, we will tell him it must be changed, or else we will provide the remedy ourselves. When the King sees us, either he will listen to us, or we will help ourselves. When we are ready to march on London I will send you a secret message. The message is "Now is the time. Stand together in God's name". (2) Anonimalle Chronicle of St Mary's was written by an unnamed monk in York. Some historians believe the account was based on an interview with William de Pakington, the Dean of Lichfield. The common people had as their leader an evil man named John Ball, who advised them to get rid of all the lords, archbishops, bishops, abbots and priors... and their possessions should be divided among the people. (3) Thomas Walsingham was a Benedictine monk at St Albans Abbey. His book. The History of England, covered the period 1259 to 1422. 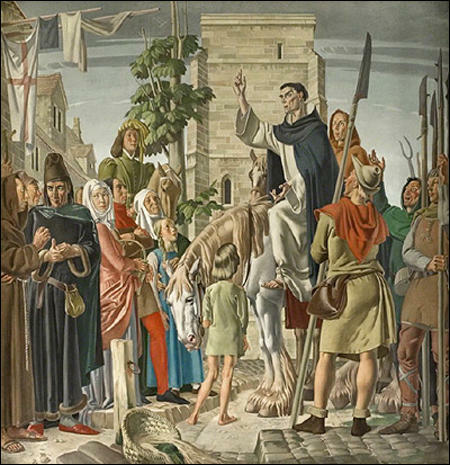 On Saturday 13 July Robert Tresilian sentenced John Ball, after hearing of his scandalous and confessed crimes, so drawing, hanging, beheading, disembowelling and - to use the common words - quartering: he had been taken by the men of Coventry and on the previous day brought to St Albans and into the presence of the king whose majesty he had insulted so gravely. His death was postponed until the following Monday by the intervention of Lord William Courtenay, bishop of London, who obtained a short deferment so that Ball could repent for the sake of his soul. For twenty years and more Ball had been preaching continually in different places such things as he knew were pleasing to the people, speaking ill of both ecclesiastics and secular lords, and had rather won the goodwill of the common people than merit in the sight of God. For he instructed the people that tithes ought not to be paid to an incumbent unless he who should give them were richer than the rector or vicar who received them; and that tithes and offerings ought to be withheld if the parishioner were known to be a man of better life than his priest; and also that none were fit for the Kingdom of God who were not born in matrimony. He taught, moreover, the perverse doctrines of the perfidious John Wycliffe, and the insane opinions that he held, with many more that it would take long to recite. Therefore, being prohibited by the bishops from preaching in parishes and churches, he began to speak in streets and squares and in the open fields. Nor did he lack hearers among the common people, whom he always strove to entice to his sermons by pleasing words, and slander of the prelates. At last he was excommunicated as he would not desist and was thrown into prison, where he predicted that he would be set free by twenty thousand of his friends. This afterwards happened in the said disturbances, when the commons broke open all the prisons, and made the prisoners depart. And when he had been delivered from prison, he followed them, egging them on to commit greater evils, and saying that such things must surely be done. 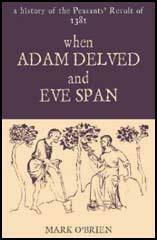 And, to corrupt more people with his doctrine, at Blackheath, where two hundred thousand of the commons were gathered together, he began a sermon in this fashion: "When Adam delved, and Eve span, who was then a gentleman." And continuing his sermon, he tried to prove by the words of the proverb that he had taken for his text, that from the beginning all men were created equal by nature, and that servitude had been introduced by the unjust and evil oppression of men, against the will of God, who, if it had pleased Him to create serfs, surely in the beginning of the world would have appointed who should be a serf and who a lord. Let them consider, therefore, that He had now appointed the time wherein, laying aside the yoke of long servitude, they might, if they wished, enjoy their liberty so long desired. Wherefore they must be prudent, hastening to act after the manner of a good husbandman, tilling his field, and uprooting the tares that are accustomed to destroy the grain; first killing the great lords of the realm, then slaying the lawyers, justices and jurors, and finally rooting out everyone whom they knew to be harmful to the community in future. So at last they would obtain peace and security, if, when the great ones had been removed, they maintained among themselves equality of liberty and nobility, as well as of dignity and power. And when he had preached these and many other ravings, he was in such high favour with the common people that they cried out that he should be archbishop and Chancellor of the kingdom, and that he alone was worthy of the office, for the present archbishop was a traitor to the realm and the commons, and should be beheaded wherever he could be found. (4) Jean Froissart was born in France in 1337. In 1360 he came to England to work for the wife of King Edward III. In 1395 he completed his Chronicles which dealt with the history of Europe between 1326 and 1390. Froissart gave a copy of his book to King Richard II in 1395. 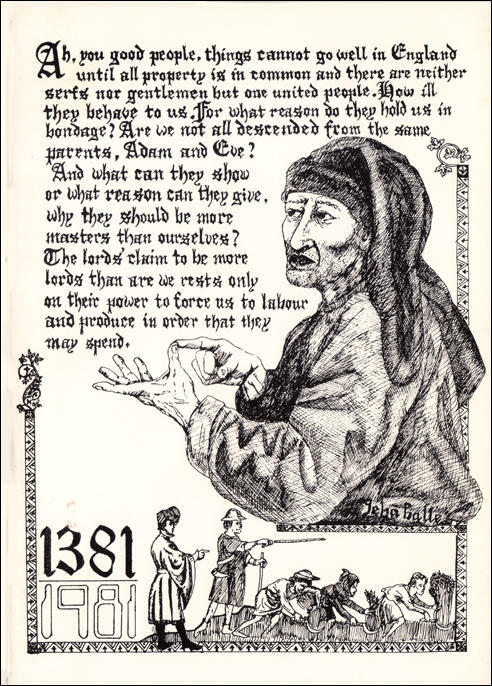 A crazy priest in the county of Kent, called John Ball... told the peasants that the nobility should not have great power over the the common people... John Ball had several times been confined in the Archbishop of Canterbury's prison for his absurd speeches... It would have been better had he locked him up for the rest of his life, or even had him executed... for as soon as he was released, he went back to his former errors. The wretched men of London began to rebel and meet together. They then sent messages to the other rebels that they ought to come to London, where they would find the city open to receive them and many supporters. They said that they would bring so much pressure on the King that all bondmen would be made free. This promise excited the rebels of Kent, Essex, Sussex and Bedford and so they came towards London. They numbered sixty thousand and their leader was called Wat Tyler and he had Jack Straw and John Ball with him. These were the leaders, but the chief one was Wat Tyler, who was a tiler of roofs and a low person. (5) Henry Knighton was the canon of St Mary's Abbey. 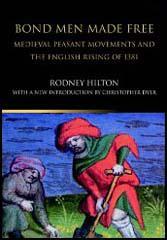 His book, Chronicle, was a history of England between the 10th century and 1395. At this time flourished master John Wycliffe, rector of the church of Lutterworth in the county of Leicestershire. He was a most eminent doctor of theology in those days, unrivalled in scholastic disciplines and held as second to none in philosophy. He especially strove to surpass the talents of others by the subtlety of his learning and the depth of his intelligence, and to produce opinions at variance with those of other men. He introduced many beliefs into the church which were condemned by the catholic doctors of the church, as will appear later. John Wycliffe had as his precursor John Ball, just as Christ's precursor was John the Baptist. Ball prepared the way for Wycliffe's opinions and, as is said, disturbed many with his own doctrines, as I have already mentioned.... Now on his appearance Master John Wycliffe had John Ball to prepare the way for his pernicious findings. The latter was the real breaker of the unity of the church, the author of discord between the laity and clergy, the indefatigable sower of illicit doctrines and the disturber of the Christian church. For many years John Ball had preached in a foolish manner, mixing evil with the good word of God, and had become popular with the ignorant people. He strongly attacked the wealth and authority of the Church and deliberately stirred people up against churchmen. He darkened the area for many years and so he was tried and convicted by the clergy, who imprisoned him for life in Maidstone gaol. But the rebels broke into the prison and brought him out and made him go with them, since they wanted to make him an archbishop.